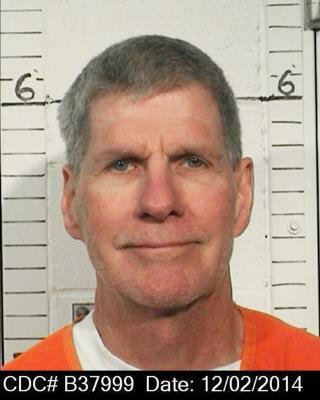 (Newser) – California parole officials recommended Thursday that Charles "Tex" Watson, the self-described right-hand man of murderous cult leader Charles Manson, should remain in prison 47 years after he helped plan and carry out the slayings of pregnant actress Sharon Tate and six other people, the AP reports. Watson's 17th parole hearing was held at Mule Creek State Prison, near Sacramento. He can seek parole again in five years. Watson, 70, is serving a life sentence for the murders of Tate and four others at her Beverly Hills home on Aug. 9, 1969. The next night, he helped kill grocer Leno LaBianca and his wife, Rosemary. "These were some of the most horrific crimes in California history, and we believe he continues to exhibit a lack of remorse and remains a public safety risk," Los Angeles County District Attorney Jackie Lacey said in a statement after the decision. Charles Manson's 'Right-Hand Man' ? Sounded like they were referring to No-Sense Pence. Hey, the guy even looks a lot like him! LOL! What amazes me is the longevity of these family members. Prison life for mass murderers must be really good. Charlie gets married??? Give me a frigging break. So if he had pretended to show remorse, he would be out by now? I hope he doesn't find out.